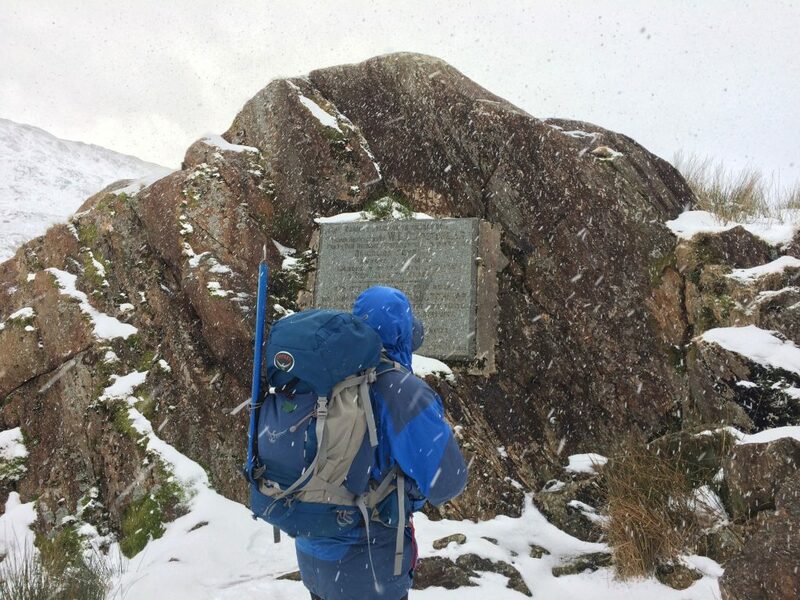 Club members M1CJE and 2E0XRB along with fellow amateur M6XPE set off from the deep snow of Wiltshire looking for some better weather and a bit of adventure in North Wales. 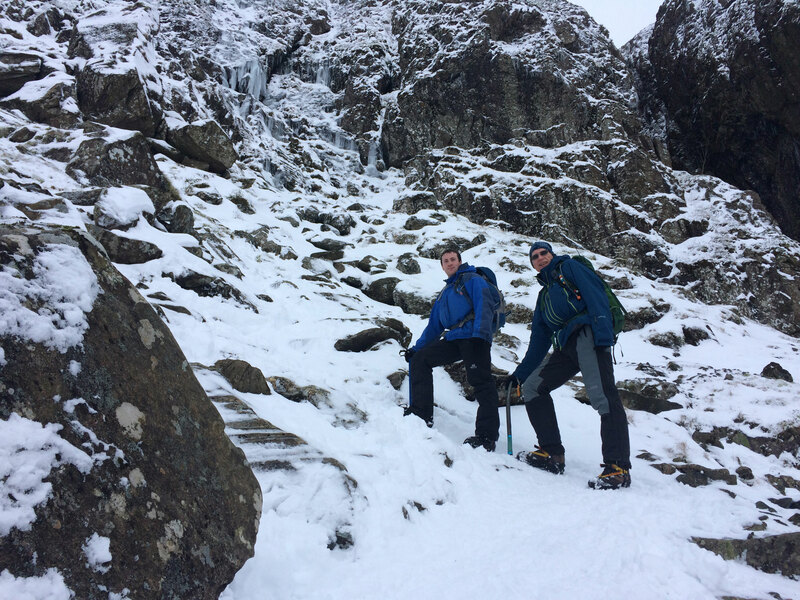 Saturday morning we were up for an early start, planning to complete the Snowdon horseshoe, a classic Welsh route including a traverse of the infamous Crib Goch, a knife-edge ridge. Unfortunately, the crowds beat us to it and the main Snowdon car park was already full when we arrived at 8:30am. A quick re-plan and we headed down to do the Watkins path instead. 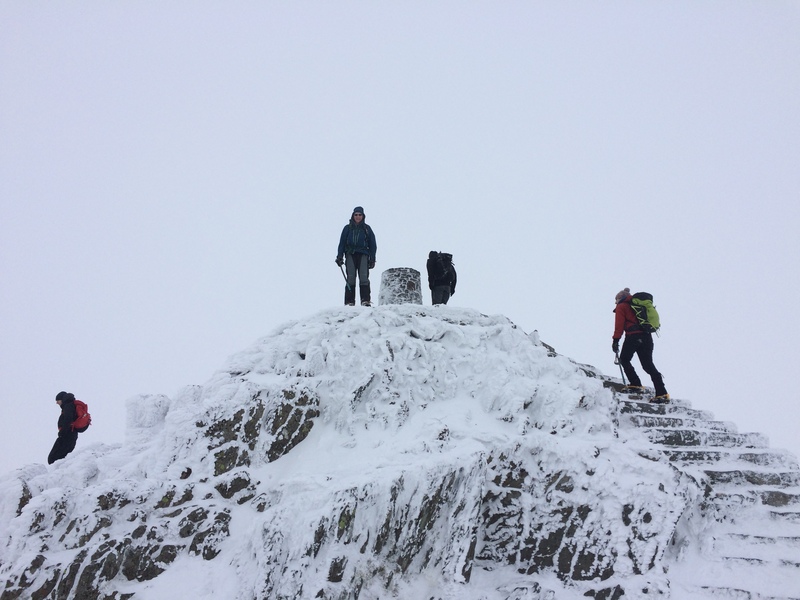 A few hours later we arrived at the summit of Y Lliwedd at 898 metres. With temperatures well below freezing and an additional ten degrees of windchill, we didn’t want to stay there for too long. We set up the radios and worked stations from the Wirral through to Eire, a few in Anglesey and over to Manchester and Bolton. From Y Lliwedd, it’s just over 150 metres of decent back to the Bwlch Ciliau and then the long climb up to Snowdon summit. The snow was fairly deep in places; on some of the steeper sections we were cutting steps to make the ascent. Once we reached the ridge at the top of the Watkins path though we were greeted by the masses that had come up via the Pyg track from the main car park. Another early start, this time planning to ascend the Devils Kitchen and up onto Y Garn. Normally a long but quite easy paved route, today though, the path was barely discernible under deep snow and ice. 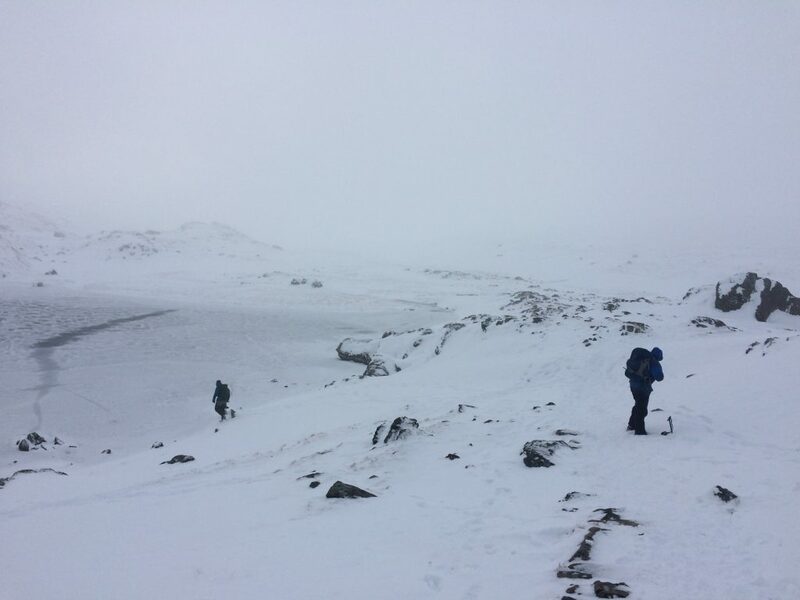 Eventually reaching Llyn Cwn we turned North in conditions approaching white out at times. MW1CJE and MW6XPE on the devils kitchen ascent. 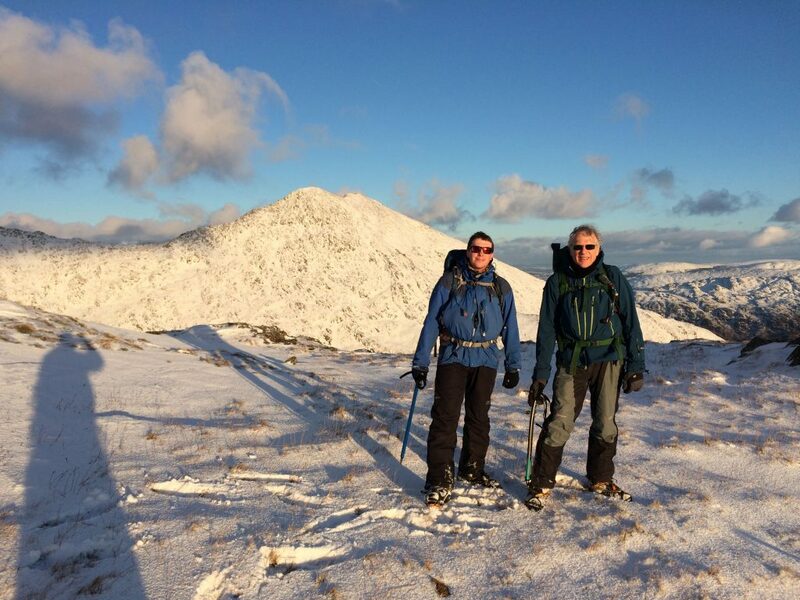 After making twenty QSOs from Y Garn we were all pretty cold and pleased to head back down to the col. Conditions were deteriorating for the afternoon with rain forecast lower down but blowing blizzard conditions on the tops. We reached Glyder Fawr a couple of hours later where we found shelter beside a few large rocks marking the summit. By this time the other two were fairly cold and wet so they weren’t over pleased when I put another seventeen contacts into the log. It was still a long walk out but as we started to lose height the wind dropped and the weather improved. We finally got back to the car just as we lost the daylight. In total over the weekend we activated four SOTA summits worth 48 points and made 53 QSOs over much of the North West and Midlands regions. We climbed nearly 3000 metres of mountain and spent 17½ hours out walking.